. . .Tucker took the wooden box in which we had brought the hypsometer, laid it on the snow, leveled it up carefully with the Stanley pocket level, and took a squint over it toward the north peak. He smiled and said nothing. So each of us in turn lay down in the snow and took a squint. It was all right. We were at least 250 feet higher than that aggravating peak. Explorer and Yale archeologist Hiram Bingham chronicles his travels through Peru, leading to his discovery of one of the last Inca capitals, his ascent of the 21,763-foot Mt. Coropuma, and eventually the 'discovery' of the Inca city Machu Picchu. Interesting history about the Incan civilization and the topography of the land they cultivated. 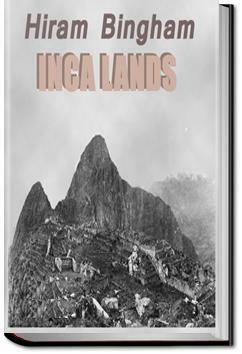 The author's description of how they traveled the Incan lands made you feel as if you were experiencing the struggles with the explorers. Fun to read and extremely informative. Lots of fun. Like a real life Indiana Jones! It's a bit dry at points, but what the hey he was a scientist not Stephen King. After hiking the Inca Trail to Machu Picchu, I thought it would be a worthwhile activity to read Bingham's account of "discovery." (Note that Bingham's credited discovery is very Western-centric; even he doesn't dignify the suggestion that he was the first to find the site). Although Bingham can only be said to have "discovered" Machu Picchu in the same way Columbus can be said to have "discovered" America, the young Yale professor, adventurer and future senator's explorations and adventures in Peru from 1911 to 1915 are a really great read.